When you progress in work, you tend to have more tasks and find it difficult to keep track of everything, especially meetings and managing e-mails. It’s a good thing that technology and software are evolving as well to help you be at pace with the frustrations of having to missed meetings or rescheduling appointments that risk your reputation in the office. To help you manage your time better and be efficient, check more Task Scheduler Software to improve on your quality and productivity, as it is important for us to keep track of everything from minor tasks to prioritizing to keep our reputation. 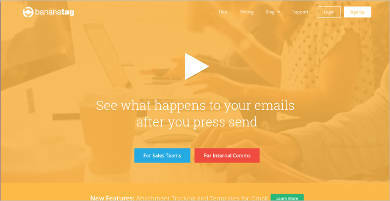 For employees aiming for an easy Gmail tool to help them out on e-mail tasks, use Mixmax. Its main features include e-mail templates so you don’t have to repeat making the same e-mails, one-click schedule for e-mails that need to be sent at a specific date and time, and e-mail tracking to be able to monitor who reads your sent e-mails and when they read it. For management that are always on the go or anyone that tends to resend the same e-mail because they forgot they already sent one, use Mail Conductor as one of its features is sending an e-mail receipt for e-mails successfully sent so you don’t have to waste time resending e-mails. Another useful feature is it works well with all Gmail features. This way you don’t get confused on adjusting to a new tool, it’s simply synced in. 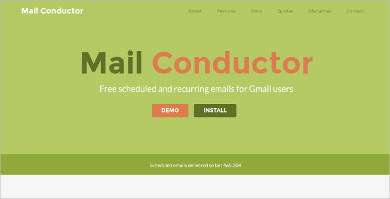 The tool is available for both Web and mobile Gmail users. For individuals that want a basic tool for their Gmail, use Right Inbox. 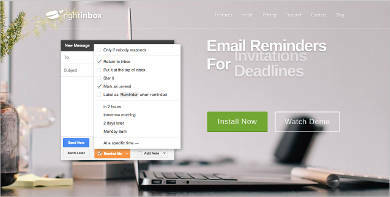 Basic features include reminders, e-mail private notes, recurring e-mail setup, and e-mail scheduling. All of the abovementioned tools are for everyone to use. Medical Scheduling Software can also be useful for people in the field of medicine. 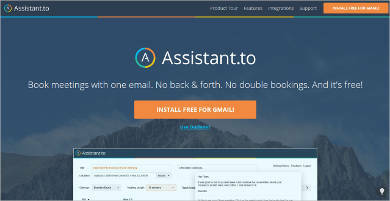 For professionals who cater to different clients in a day should use Assistant.to as its main focus is to keep you in sync with day-to-day activities. Its features include notifications, timezone adjustment, a secured server, and removes double booking to avoid hassle of wasting your client’s time and yours. If you tend to use another source for your e-mails other than Gmail, use Bananatag as one of its features is that, besides from tracking your e-mails in Gmail, it also tracks e-mail for Outlook users, which is very useful. 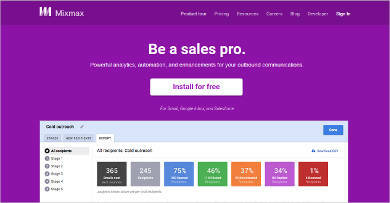 Another feature to use is its analytics report to help you monitor e-mail progress. 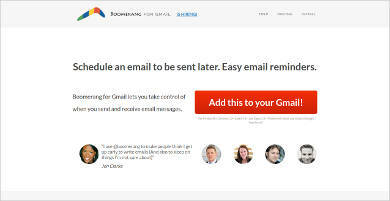 For anyone that sends a lot of e-mails and need to remember to reply back or need a follow-up on their sent mails should use Boomerang for Gmail as this tool helps you monitor when to send feedback to someone. The tool also has an option to send your e-mails later, and a follow-up reminder so you don’t forget to reply. These are just some tools we can use to help us in work and save us the hassle of remembering when to reply or repeat making the same e-mails. Companies today encourage employees to research more Business Scheduling Software to improve productivity. Head on over to our website to learn more by clicking the link.